“On cloud nine” on the eve of his home V8 Supercarschampionship event in New Zealand, teenage sensation Scott McLaughlin hasrevealed a new and tougher goal for his rookie season. 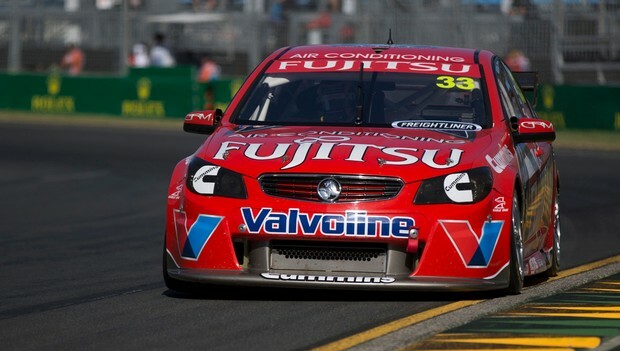 “Originally, my realistic goal was top 15 this year andevery race I would be happy with that,” the GRM Fujitsu Holden VF Commodoredriver told v8supercars.com.au. Considering the 19-year old from Christchurch has consistentlyqualified and raced in the top 10 and broke through for his first win in the finalrace at the Australian Grand Prix meeting, his increased ambition isunderstandable. Some might even suggest he’s still underestimating hisopportunity considering he runs fifth in the championship entering the ITM 400Auckland at Pukekohe Park Raceway. He will start this weekend’s four-race event as a local heroand one of the outright favourites to finish on the podium and potentiallyscore a race win. McLaughlin says his confidence is growing with every outing.His move to repass FPR Ford driver Mark Winterbottom with a daring outbrakingmove in race four of the championship at Symmons Plains last weekend madeeveryone’s highlight reel (except maybe Winterbottom’s). “It’s definitely good, it’s a confidence booster,”McLaughlin said. “Everytime I get in the car I feel I can do this, I can mix itwith these guys and that’s probably the biggest thing. McLaughlin is confident that GRM – owned by veteran GarryRogers who celebrates his 50th year in motorsport in 2013 – has made acompetitive breakthrough thanks to the new Car of the Future technicalregulations, enabling him to be so consistently fast. “The car has been good, it responds to changes and I feellike it suits my driving style on a soft tyre and a hard tyre,” he explained.“I feel like we are on a good roll and I think we are still improving. Despite his youth, McLaughlin is no V8 newby. In 2012 he wonthe Dunlop development series in Australia and the NZ V8SuperTourers championshipand was also a key test driver in the early reliability-oriented developmentstages of the Car of the Future. So it’s no surprise he likes his new mount. “It’s still fundamentally the same sort of thing to drive,”he says, comparing the CotF to the previous generation V8 Supercar. “It’s justa little different, a bit lively in the mid-corner. But you still have to driveit similarly, save the tyres and it’s a big heavy thing. “That’s not going to change and I don’t think it shouldchange, it’s been around for so long, it’s still got a few things about it thatare new that impact on the drivers and make them like or not like it.